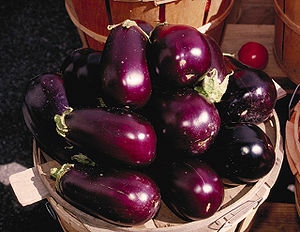 Eggplant, (aubergine in French, melanzane, in Italian), is a vegetable that I am not overly fond of, and therefore don’t cook it very often. However there is one dish that I really like and that is eggplant parmesan. This can be a lengthy dish to prepare what with slicing and breading, then cooking the eggplant before you even begin to put the remaining ingredients with it and baking it. In addition, eggplant has the ability to absorb large amounts of oil that it is cooked in, another reason why I seldom make it. When I happened upon this recipe for EP.Parmesan I really took notice because the eggplant is baked after having been dredged in flour, egg, and panko. There is no oil involved for the eggplant to soak up, and the baked slices come out fork tender with a crisp outer crust. Then you layer them in a baking dish with sauce and cheese, bake it up, and eat it knowing you have made a dish that is low in fat ( 9 g. total; 5 g. saturated), yet still very tasty and healthy for you. This casserole make 6 generous servings, and if you have any left over you might try warming it up, and serving it in a crispy hard roll for a great sandwich. 1. Heat oven to 375*F. Using a large baking sheet, line with parchment paper and coat with nonstick cooking spray. 2. Place flour, egg whites and panko in separate shallow dishes. Dredge eggplant slices in flour, dip in egg, and coat with panko. Place on prepared baking sheet and bake at 375* for 40 – 45 minutes until easily pierced with a fork. Eggplant slices breaded and already baked. 3. 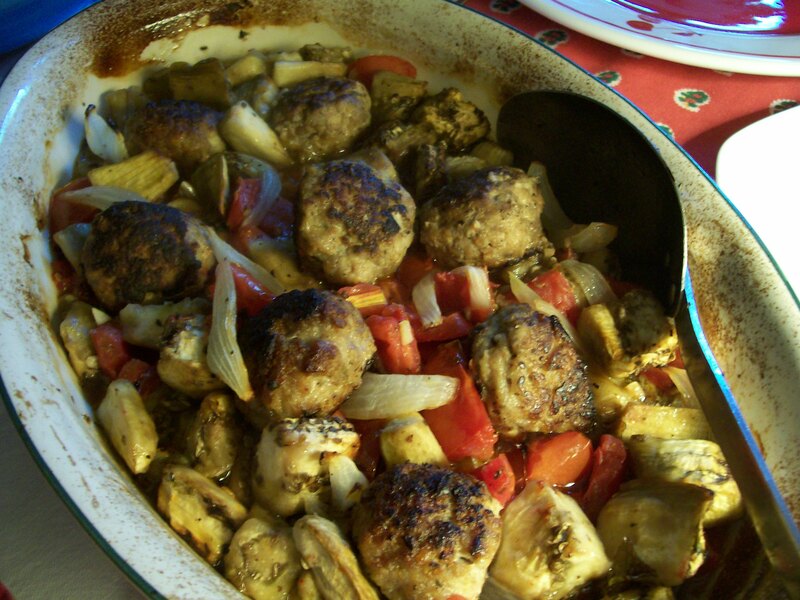 Spread 1 cup of sauce over the bottom of a 13 x 9 – inch baking dish. Place half the eggplant slices over sauce and season with 1/8 tsp. each of the salt and pepper. 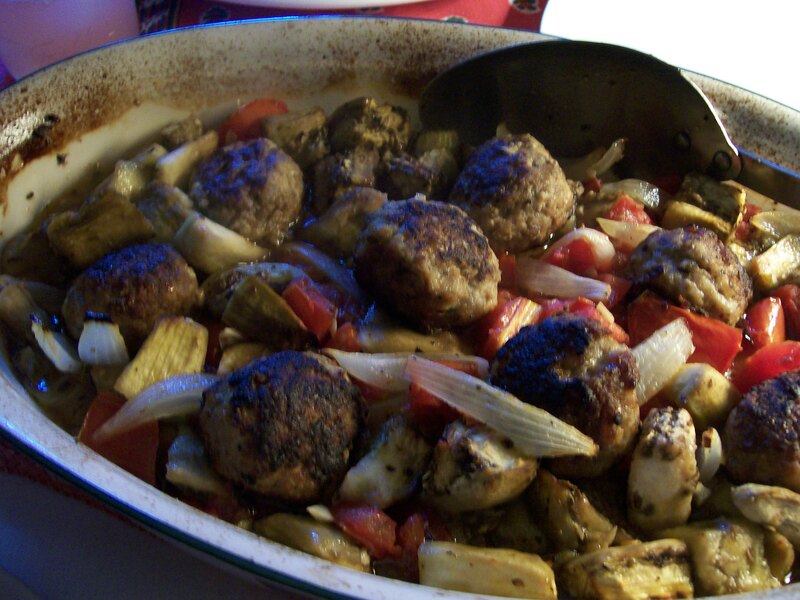 A layer of sauce in the bottom of the dish, then eggplant, then more sauce. Layer with 1 cup of sauce, 1 cup mozzarella and the basil, roughly torn into pieces. Sprinkle with grated mozzarella and chopped basil. Repeat layering with remaining eggplant, salt, pepper, sauce and mozzarella. Next layer of eggplant in place, to be covered with more sauce and cheese. 4. Sprinkle 1/4 cup of the Parmesan over top and loosely tent with foil. Bake at 375* for 30 minutes or until hot and bubbly. All hot and melty with cheese. 5. If desired serve with cooked spaghetti, remaining Parmesan and additional sauce. Serve with pasta for a hearty, meatless meal.